Sarvamangal Charitable Trust is a Non-Profit organization (NGO) registered (E/3261 with Charity Commissioner, Ahmedabad and GJ/2017/0117069 with NITI AAYOG) in India. 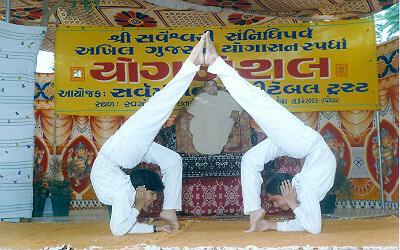 It was founded in 1978 by Shri Yogeshwarji. After Shri Yogeshwarji left his physical body in 1984, Maa Sarveshwari, Yogeshwarji's disciple and spiritual heir began looking after the manifold benevolent activities of the trust. Following is a brief information about the various activities carried out by the trust. Healthcare: Medical camp, Eye operation & blood donation camp, artifical limbs for Poor people in backward areas, where they have limited access to medical facilities and if available, is out of their reach. Medical facilities (medicine and check up by doctor) made available to padyatri's on Bhadarvi Poonam at Swargarohan helping more than 25000 people till date. Seven new schools built at a cost of Rs. 4.8 million at Kerala, Haripara, Gala, Piludi, Jasmatgarh, Amarnagar & Bhaktinagar in Morbi province of Saurastra in record 90 days. Later in February 2002, eighth school at Dadashri Nagar near Gala was also completed. 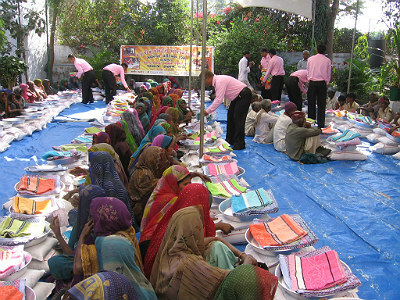 Occasional distribution of food & clothing to poor, needy, disabled and widows in socially & economically backward areas. Free Distribution of water and buttermilk (chhas) to more than 40,000 pada-yatris on Bhadarvi Poonam at Swargarohan, Ambaji.